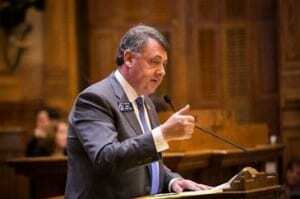 ATLANTA (March 1, 2018) | Two broadband expansion bills sponsored by Sen. Steve Gooch (R – Dahlonega), Senate Bills 232 and 426, passed the Senate on Crossover Day, Wednesday, February 28, 2018. Each bill passed with overwhelming bipartisan support. 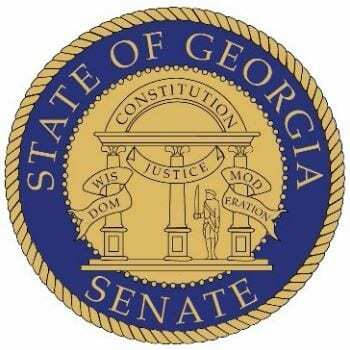 Senate Bill 232, also known as the Facilitating Internet Broadband Expansion (FIBRE) Act, allows Georgia’s 41 electric membership cooperatives (EMCs) to deploy broadband, wireless and VoIP services to rural Georgia. The bill also sets the regulations for EMCs seeking to provide these services with a goal of creating a competitive marketplace for broadband expansion into rural areas. Senate Bill 426, or the Broadband Infrastructure Leads to Development (BILD) Act, streamlines the permitting and deployment of a new wireless technology known as 5g – or small cell broadband – for private companies wishing to utilize public rights of way. In addition, the bill also permits the construction of small wireless technology poles on certain existing structures and allows for construction of new utility poles in areas lacking current infrastructure, while protecting historic districts.